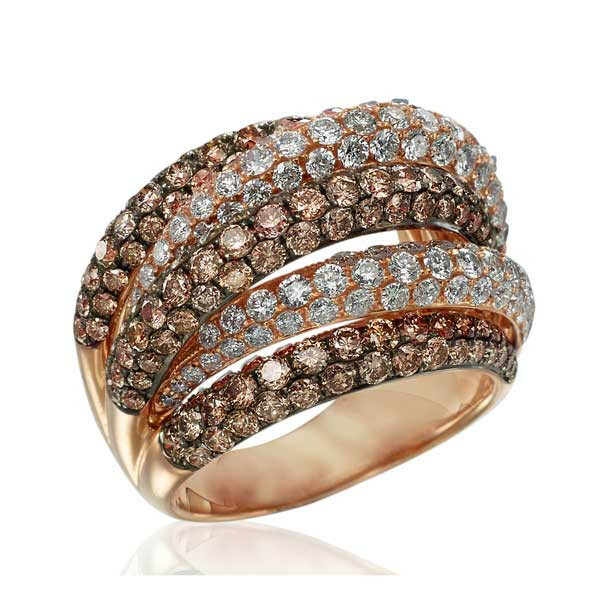 Say Cheers to this 18kt rose gold ring created with champagne and white diamonds! Five rows of alternating light-colored and white diamonds, with multiple stones, wrap your finger in effervescent elegance. This ring will have you drinking in the compliments in no time flat!